Hell's Kitchen Season 15 Where Are They Now? 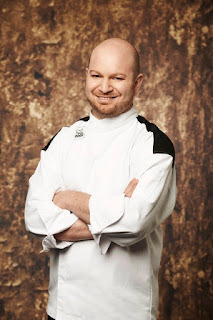 Hell's Kitchen Season 15 aired January 15 to April 29, 2016 on Fox Network, there were 18 contestants and the prize for the winner was a head chef position at BLT Steak at Bally's Las Vegas. 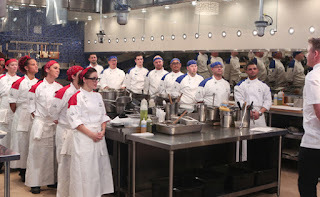 In this season, Gordon Ramsay was judge, Marino Monferrato was Maître d', Christina Wilson was sous chef for the red team and Aaron Mitrano was sous chef for the blue team. Continue below to read what the Hell's Kitchen season 15 contestants did next after appearing on Hell's Kitchen. Alan Parker was a Sous Chef from Lancaster, Pennsylvania. He was eliminated in Hell's Kitchen episode 5 due to his inconsistency and problems on the appetiser station with risotto during service, even though he attempted to rectify the problems. After the show, he returned to his sous chef position at Hollywood Casino at Penn National. Amanda "Manda" Palomino was a Sous Chef from Atlantic City, New Jersey. She was eliminated in Hell's Kitchen episode 14 due to her deteriorating performances but praised her for her cheerful spirit and determination in the competition. After the show, she returned to her position as manager of CupKing Cafe and later moving into virtual chef services. She is taking part in Reality Rally 2018, a charity event. After the show, she took up the head chef position at BLT Steak at Bally's Las Vegas until January 2017 before moving on to other opportunities. 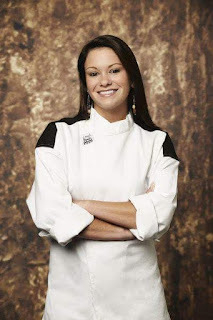 Ashley Nickell was a Chef de Cuisine from Orlando, Florida. She was eliminated in Hell's Kitchen episode 15 but she was allowed to keep her jacket and was praised by Gordon. After the show, she opened her own restaurant Restaurant Ash in Orlando and reviews were excellent, she is currently looking for a new premises and was at Funky Monkey Bistro & Bar. She is currently cooking at Parkview House in New York. Chad Gelso was a Sous Chef from Philadelphia, Pennsylvania. He was eliminated in Hell's Kitchen episode 10 due to his deteriorating performances and his lack of confidence in the kitchen. After the show, he became Executive Chef at Fiola before moving to Aldine restaurant in Philadelphia in February 2018. Dannie Harrison was a Line Cook from Philadelphia, Pennsylvania. She was eliminated in Hell's Kitchen episode 13 due to her mistakes and struggles during service. After the show, she returned to her catering business Palate that she runs with her sister. She was also Restaurant Manager at Urban Farmer Restaurant before moving to Lakehouse Restaurant as Executive Chef until October 2017. She is also a volunteer at Kitchen Cred. Eddie Jaskowiak was a Sous Chef from Philadelphia, Pennsylvania. He was eliminated in Hell's Kitchen episode 6 due to his poor performance during the service and his lack of leadership skills. After the show, he has been working on relaunching restaurants. Frank Cala was a Marine Chef from Brooklyn, New York. He was eliminated in Hell's Kitchen episode 12 due to his deteriorating performances, failure to take responsibility and struggles with communication. After the show, he was fired from his post in the Marines and reassigned after sexist comments regarding female marines. He has since apologised for his comments and claimed they were taken out of context. He is currently Chef de Partie at Boulud Sud. Hassan Musselmani was an Executive Catering Chef from Detroit, Michigan. 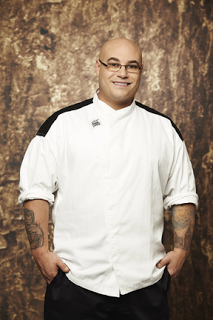 He was eliminated in Hell's Kitchen episode 7 due to his poor performance after a chain of deteriorating performances. After the show, he started his own private catering business HNR Food Services and has his own food truck The Drunken Rooster. 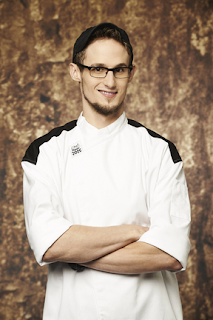 He competed on Chopped in September 2017. Jackie Fuchs was a Line Cook from Jersey City, New Jersey. She was eliminated in Hell's Kitchen episode 11 due to her lack of experience, inconsistent performances but praised her progress during the process. 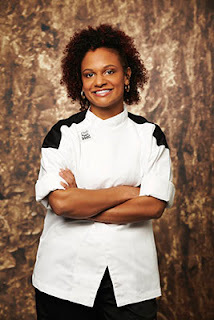 After the show, she returned to Brix Restaurant and Bar in Belleville, NJ where she is now Head Chef. Jared Bobkin was a Line Cook from Oak Park, Michigan. 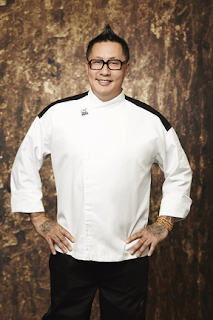 He was eliminated in Hell's Kitchen episode 14 due to his lack of consistency in his performance but he was praised for his cooking ability and commitment. After the show, he was executive chef of Local Kitchen and Bar and is currently Executive Chef at Bayview Yacht Club. As of February 2018 he is Head Chef at Bourbons in Brighton. Joe Ricci was a Sous Chef from Philadelphia, Pennsylvania. 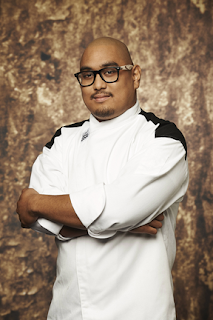 He was eliminated in Hell's Kitchen episode 9 as he struggled with the dinner services despite being strong in the challenges. After the show, he appears to have returned to his position as a Sous Chef at Ippolito's. Kevin Ridlon was a Culinary Manager from Warwick, Rhode Island. He was eliminated in Hell's Kitchen episode 5 due to his deteriorating performances. After the show, he returned to the kitchen at Mondo Restaurant in Middletown, Connecticut. Kristin Barone was a Line Cook from Chicago, Illinois. 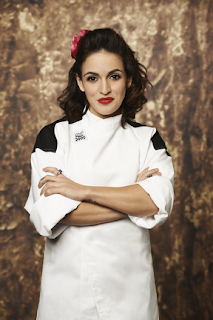 She was the Hell's Kitchen season 15 runner up with a strong performance in the final and received strong words of encouragement and praise from Gordon. 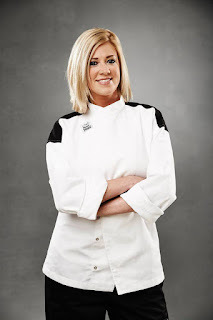 After the show, she became a chef at Rao's Caesars Palace and is currently Chef Tournant at Gordon Ramsay Pub & Grill. Mark Paras was a Line Cook from Anaheim, California. He was eliminated in Hell's Kitchen episode 1 due to his poor performance and lack of fight. After the show, he appears to be still in the kitchen at location unknown, email me any info! Meese Davis was a College Chef from Upper Darby, Pennsylvania. She was eliminated in Hell's Kitchen episode 4 due to her repeated nominations and failure to communicate. After the show, she became a Mary Kay consultant. Sherkenna Buggs was a Personal Chef from Grand Junction, Tennessee. She was eliminated in Hell's Kitchen episode 2 due to her lack of confidence in the kitchen, which led to her giving up on her station. 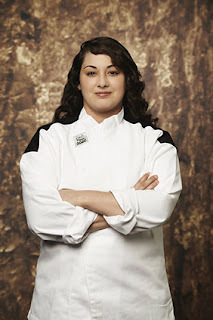 Vanessa Soltero was an Airport Chef from Los Angeles, California. She was eliminated in Hell's Kitchen episode 3 due to her poor communication and lack of confidence. After the show, she became a festival chef for Coachella, Life is Beautiful and various food and wine festivals. She is currently a post production chef for Sony Pictures.